and, recently, the Computer Science and Business (CSB) joint honors program. Rest assured that the selection process is extremely rigorous. The CSB will have to approximate the standards of the Turing Scholars Program and the Business Honors Program. “Turing denies 85% of valedictorian applicants. That means it’s especially important that you demonstrate a breadth and depth of commitment in computer-related activities.” The average SAT for the BHP is north of 1500; the same is true for CSB. Only about 12% of applicants gain admission to the BHP. “Our top-ranked faculty push students to think outside the box and learn the varied business and computer science disciplines,” according to the website. “The curriculum is comprised of 44 classes, taken with 30-40 students, exposing students to all facets of business and computer science. Most students in the CSB will have to take about 17 credits each term and enroll in at least one summer session to complete the program in four years. The CSB curriculum alone appears to be almost full-time. Here is a link to a sample course sequence for all four years. It is not for the faint-hearted. Below is a list of courses required of CSB students. In addition, students must complete the university core curriculum, including courses in government, history, and composition. The SAT “Confirming” Test for National Merit Semifinalists: What Is It? Editor’s Note: This post was updated on December 11, 2018, to state that for the class of 2020 the ACT can be used for the confirming test. Of the 16,000 students (~top 1%) who become National Merit Semifinalists, about 15,000 become finalists, most often because some semifinalists have relatively low grades or do not have sufficient SAT confirming scores (see below). And only about 7,500 actually become National Merit Scholars. To move from National Merit Finalist to National Merit Scholar, a student must have a very high SAT score and GPA, strong recommendations, evidence of commitment to extracurricular activities, and do extremely well on the required essay of of 500-600 words. The SAT “confirming” score: In order to become a finalist, a student must take the SAT no later than December of the senior year, but taking it no later than early November is recommended. Earlier tests taken as a sophomore or later may also be used. Superscores are not allowed. The National Merit Scholarship Corporation must receive your SAT scores by December 31. This only leaves about a week after receiving December test scores to make sure of the notification. The ACT will count for confirming purposes for the class of 2020. The SAT for purposes of NMS eligibility also has a selection index. The excellent site Compass Prep estimates that the minimum ACT confirming score for the class of 2020 will be 31-32. The SAT selection index differs from the PSAT selection index. Because the SAT has a maximum score of 1600 versus 1520 for the PSAT, the maximum section scores for the SAT selection index are higher. The maximum scaled section score for the SAT is 40 (versus 38) and the maximum selection index score is 240 (versus 228). (But below is the recommended “simple” way to calculate the SAT selection index (SSI). Another difference is that, for the SAT, the confirming score is national, one SAT selection index total for everyone, regardless of state or location of residence. In the past, an SSI score that equals the PSAT selection index score for commended students has been the minimum acceptable SSI. The good news is that very high scorers on the PSAT should be very likely to meet the “commendable” threshold of the confirming SAT. Students in states where the commendable PSAT score is the same as the seminfinalist qualify score, and who just did make the commendable score, may have to take the SAT more than once to confirm. Taking the SAT multiple times to reach a confirming score is well worth the effort given the many advantages that come with NMS status. Example: PSAT selection index score is 2011 = commended student. The simple formula for the SSI is to drop the zeros from the scores, thus making the above scores 71 and 72, respectively. Then multiply the EBRW score by 2, and add the math score. Example: 71 x 2 = 142; 142 + 72 = 214. An SSI of 214 exceeds the PSAT SI score of 211 and should be sufficient for confirming purposes. You can also calculate the SSI by doubling the total EBRW score (710 x 2), adding the total math score (720), and dividing the total sum by 10. Example: 710 x 2 = 1420; 1420 + 720 = 2140; 2140 / 10 = 214. Editor’s Note: The following detailed Q & A is between editor John Willingham and Dr. Christian M.M. Brady, the inaugural Dean of the Lewis Honors College at the University of Kentucky, where almost half of the inaugural class is receiving full tuition scholarships or greater awards. Dr. Brady is the former longtime Dean of the Schreyer Honors College at Penn State. [Emphases below are added.] Please see earlier post, Kentucky to Open New Honors College with Gift of $23 Million. Editor: Can you say what the expected test score and GPA requirement will be, at least approximately at LHC? Dean Brady: This year’s incoming class has an average unweighted GPA of 3.86 and an average ACT of 31.4. Please note that these figures are determined after the fact. The LHC does not use standardized test scores, but rather has an holistic selection process. The formal statement on the website currently reads*: “Applicants to the Lewis Honors College typically have at least a 28 ACT or 1310 SAT (M + EBRW) and an unweighted GPA of 3.50 on a 4.00 scale.” These minimums are not guarantees of admission to the program, but act as a benchmark for consideration. All applicants should be aware that Honors admission decisions are made independently of Competitive Academic Scholarships and applications will not be reviewed until a student has been admitted to the University…. [A]n applicant’s essay responses carry a large amount of weight in the admission process….The deadline for submission of the application and all required documents is December 1. *These minimum requirements are likely to change. Editor: In what ways will the LHC differ from the previous honors program? In what ways the same? Will the number of honors sections be significantly increased? Dean Brady: Honors was created at UK in 1961 and has taken on various forms in its nearly 60 year history. With the establishment of the Lewis Honors College we will continue the more recent progress of a university-wide honors program with certain key features. The development of a foundational course and experience that all Lewis Honors College Scholars will participate in, the expansion of departmental honors courses, and the strengthening of the honors thesis or capstone requirement. 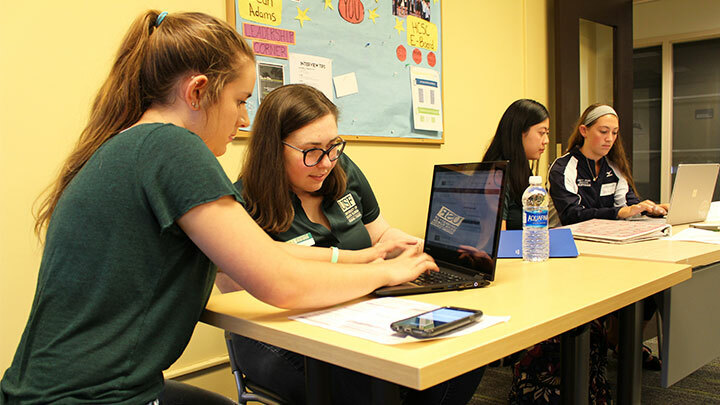 Students are also required to do 6 credits of “honors experience,” which can be accomplished via study abroad, service learning, and research. The LHC will have up to ten lecturers who will teach the Foundations Seminar and other honors courses through the relevant departments. We will also have two endowed lectureships: one in the area of organizational behavior and the other in entrepreneurship. There is a new Career Advising Center being created, with a staff of four advisors. There will also be five Academic Advisors. These new staff positions, along with other student programing positions, will all be in place by the end of fall 2017. Staff will be housed in the new Lewis Hall. Located directly across from the WT Thomas Library and next to “The 90,” a dining and classroom space, Lewis Hall is one of three Honors residence halls and includes 346 beds. 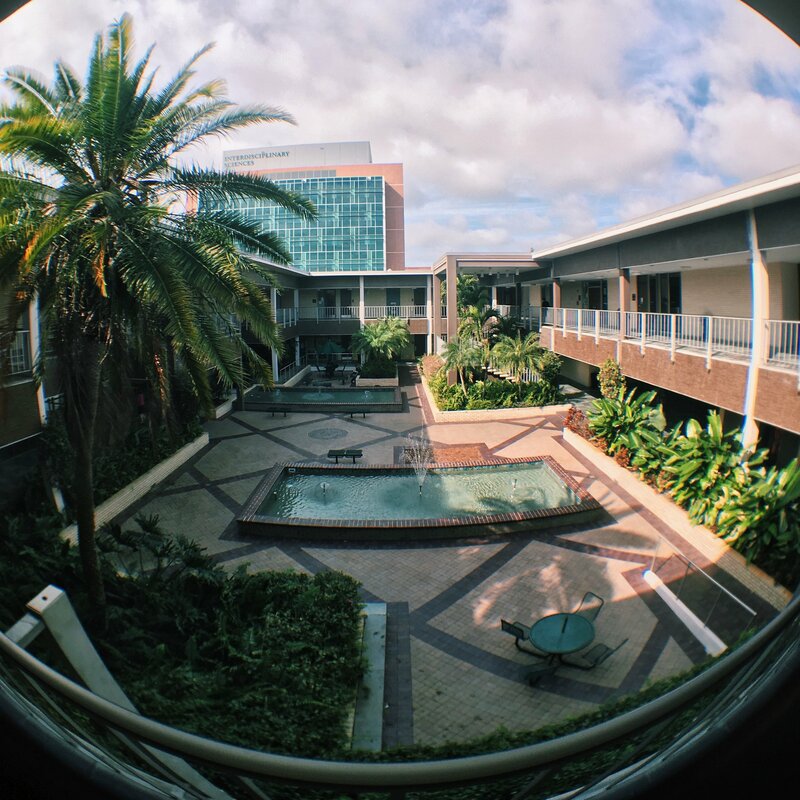 It also has over 20,000 square feet of office and meeting space, including four classrooms and a café. There is a spacious outdoor patio venue as well. One particular concern that I think will come to the fore is the commitment to helping students from their earliest moments on campus to discern their pathway forward. (E.g., they might have always thought they should be an engineer because they are good at numbers and like creating things, but they might actually be more of a business person. Or vice versa.) This will be determined and elaborated later in this semester, once we have the opportunity to meet with students and faculty. Editor: What is the size of the class of 2021, and anticipated size thereafter? Dean Brady: The incoming class is predicted to be 540 and our target is to maintain 10% of total student population, roughly 2,200 LHC Scholars. Editor: What is your personal vision for LHC, building on your long experience at Penn State and contacts in the honors community? Dean Brady: I believe firmly that every honors college and program should reflect what is distinctive and unique about the larger university community of which it is a part…. [W]e should also have a particular distinctiveness that reflects the Kentucky identity. This does not mean that we are regional, quite the opposite. The traits I have already seen in terms of work ethic, humility, and commitment to community are those that we should seek to inculcate in all students. Over the next 5 to 10 years we will build one of the strongest honors colleges in the nation. Founded upon the strength of excellent faculty, great breadth of offerings at UK (it is one of the most comprehensive research universities in the nation, with every professional school, aside from veterinary, within 1 mile of the honors complex), and developing men and women to understand and meet their own potential while benefitting their communities. As some have put it, “doing well while doing good.” The LHC will also become a standard within the nation and the world for innovation….With over thirteen years in the honors community, I look forward to working with our colleagues around the world to continue to learn from their best practices, develop exchange opportunities for our students, and help establish new standards for honors education. We will be submitting a proposal to host the [Honors Education at Research Univerity] HERU meeting in 2019 and I look forward to working with my SEC colleagues, many of whom I have already met through HERU and Big Ten conferences. Editor: What are the amounts and availability of merit scholarships, and do LHC students automatically qualify for university scholarships? Does the LHC offer its own merit scholarships? Dean Brady: I am still learning where exactly all funds reside, but this is certain: the LHC has more than $8MM in scholarships each year. Almost half of all incoming students will have a scholarship at least cover full tuition. We are also preparing to enter into a capital campaign in which developing further scholarship and grant funds (for research, study abroad, and internships) will be a priority. 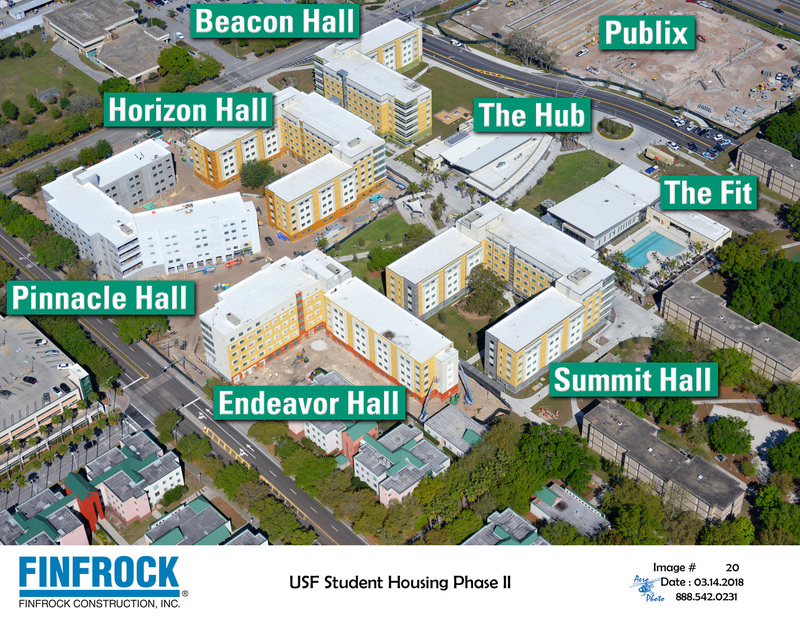 Editor: Can you tell us more about the honors residence halls and the LHC administration building? Dean Brady: I referenced the new Lewis Hall earlier. There are also two other Honors residence halls, all built within the last 5 years, that are beautifully appointed with learning spaces for the students on each floor, ground floor lounges, and located next to the library and the new, $112MM Jacobs Science Building. Editor: Can you tell us more about the size of the LHC staff and their assignments; are any staff dedicated to prestigious awards? Dean Brady: When fully staffed we will have over 30 staff members including an associate dean for academic affairs, a director of academic affairs, five academic advisors, and up to twelve lecturers. We will have a senior director of student affairs who will oversee a director of career advising and 3 career advisors, a director of recruitment, a director of the Residential College (student programming), and an administrative assistant for student affairs and receptionist. We will also have a budget officer, director of communications, and a philanthropy officer. Editor: What are the levels of honors completion and the semester-hour requirements for each level; is there a thesis required; is there a limit on honors conversions (contract courses? The National Science Foundation has named 2017 grantees for the prestigious NSF Graduate Research Fellowship Program (NFSGRFP). UC Berkeley and UT Austin led all public universities while MIT and Cornell led private institutions. Below please see a list of the 50 universities with the most NSFGRFP grants in 2017. For the 2017 competition, NSF received over 13,000 applications, and made 2,000 award offers. Past fellows include numerous Nobel Prize winners, U.S. Secretary of Energy, Steven Chu, Google founder, Sergey Brin, and Freakonomics co-author, Steven Levitt. Fellows share in the prestige and opportunities that become available when they are selected. Fellows benefit from a three-year annual stipend of $34,000 along with a $12,000 cost of education allowance for tuition and fees (paid to the institution), opportunities for international research and professional development, and the freedom to conduct their own research at any accredited U.S. institution of graduate education they choose. The University of New Mexico (UNM) invites nominations and applications for the position of Dean of the Honors College. UNM’s Honors College grew out of one of the oldest and most nationally respected honors programs in the country. For nearly 60 years, it has provided challenging opportunities for intensive interdisciplinary and cross-cultural liberal education to highly motivated, talented and creative undergraduates. The excellent instruction and individual attention offered in UNM’s Honors College create the benefits of a first-¬rate, small liberal arts college atmosphere within a flagship research university setting. It has long served as a model for many other successful programs across the nation and its faculty and administrators have been actively involved in Honors education at the national level. The Honors College offers students the options of pursuing a Bachelor of Arts in Honors Interdisciplinary Liberal Arts, a minor in Interdisciplinary Studies, or a designation in Interdisciplinary Studies. Ten fulltime, tenure-track faculty teach honors courses and pursue tenure within honors, not in other departments. The Honors College currently has 1,774 active students and has been steadily growing each year. The Fall 2016 incoming freshman class was 632 students. — A letter of interest addressing preferred qualifications for the position and the applicant’s interest in leadership of University and the Honors College. — Names and contact information of at least four professional references, at least one of whom should be from the candidate’s current institution or organization. For best consideration submit application by January 31, 2017; however the position will remain open until filled. If you have questions about this position, please contact the Search Coordinator, Jessica Ramos, at jdramos@unm.edu or the Search Committee Chair, Craig White (Dean of UNM Business School), at cwhite@unm.edu. How Alive Are the Liberal Arts in Honors Programs? The short answer: very alive. After an extended period during which more and more students have felt the need–regardless of personal interest and aptitude–to major in business, engineering, or computer-related fields, the liberal arts, especially the humanities, have faced declining enrollment. The impact that this trend has had on personal growth and enlightened participation in civic life is evident, given the tone and outcome of the presidential election. 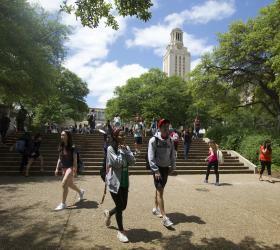 In the meantime, several prominent public universities have endured attacks on their humanities departments and commitment to learning for learning’s sake, most notably UT Austin, Florida universities, and, very recently, UW Madison. Most states have dramatically reduced financial support for their universities; some regents have used the real or manufactured budget crisis as a pretext for attacking non-vocational disciplines. But the liberal arts and, yes, the core humanities that are essential to the liberal arts, have survived in public honors colleges and programs. Some students express resentment that, in order to be in an honors program, they must take a series of interdisciplinary seminars and electives in the humanities. Under pressure from parents or highly focused on their chosen vocational discipline, they want “to get on with it” and reach a point where they can start making real money and pay back those student loans. This is understandable. But honors educators know that almost every bright student is in many ways unformed and searching for paths of meaning in their lives. One course in history, or philosophy, or literature, or maybe in religious studies or film, can guide a student toward a lifetime of serious inquiry, self reflection, and greater compassion for others. These and other courses in the liberal arts reinforce the application of informed judgment to facts that are often contradictory or in flux. Consensus is emerging that for many students, “We don’t need more STEM majors. We need more STEM majors with liberal arts training.” Indeed, this is one of the two or three major advantages of honors programs. STEM majors who otherwise would take few liberal arts courses (and an extremely small number of humanities classes), must take them as members of a university-wide honors college or program. Recent research shows that “critical thinking,” measured after adjusting for entrance test scores, shows the greatest gains for students in the liberal arts. Engineering and technology students have high raw entrance test scores and strong critical thinking ability, but after adjusting for the effect of the high test scores, their critical thinking skills are relatively lower. Business majors do not receive high raw or adjusted scores in critical thinking. Given that a plurality of bachelor’s degrees are awarded in business subjects, this is a matter of significant concern. English is the discipline most offered by honors programs. This is so because many of the required English classes have a heavy writing component, often associated with the study of rhetoric. In these classes the humanities and vocational mastery come together in a way, for the most successful and most fulfilled professionals often have outstanding communication skills and a heightened sensitivity to the thoughts and needs of others. Humanities: English, history, philosophy, fine arts, foreign languages, religious studies, film, classics. Sciences: math, biology, chemistry, physics, geology. Social Sciences: sociology, anthropology, gender studies, psychology, communications, political science, economics, and geography. Using the above as our “liberal arts,” we used data gathered for our most recent book, Inside Honors, which included 4,460 honors sections. Of these, we found that 59% were in the liberal arts, not counting interdisciplinary seminars, which accounted for another 26% of sections. Most of these seminars had a humanities focus, so about 85% of honors sections were in the liberal arts. By discipline, English had the highest percentage of sections, even when sections in business, engineering, and technology are included. Math and business disciplines combined had about the same number of sections as English. 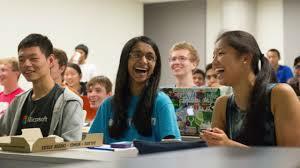 Engineering and technology, considered separately, make up 8% of honors sections. Admittedly, the “regular” courses in these disciplines are usually rigorous enough in themselves. Not all of the humanities are strongly represented, however, with classics, film, and religious studies combined counting for only 1.4% of honors sections. In fairness, the classics do feature prominently in many interdisciplinary seminars. The 2016 edition will have a new name– Inside Honors: Ratings and Reviews of 60 Public University Honors Programs. It is in the final proofing stage now. The goal is to publish in late September. Each edition includes a somewhat different group of honors colleges and programs, so there will be changes, even among the 40 or so programs that are reviewed in each edition. The rating system makes it possible for any honors college or program, whether a part of a public “elite” or not, to earn the highest rating. Similarly, the ratings allow all types of honors programs to earn the highest rating. Those receiving five mortarboards will include core-type programs with fewer than 1,000 students and large honors programs with thousands of students. And absent any intentional preference for geographical diversity, the list does in fact include programs from north, south, east, and west. By microscopic, I mean that the rating categories have increased from 9 to 14, and so has the depth of statistical analysis. The categories are, first, the overall honors rating; curriculum requirements; the number of honors classes offered; the number of honors classes in “key” disciplines; the extent of honors participation by all members in good standing; honors-only class sizes; overall class size averages, including mixed and contract sections; honors grad rates, adjusted for admissions test scores; ratio of students to honors staff; type of priority registration; honors residence halls, amenities; honors residence halls, availability; and the record of achieving prestigious scholarships (Rhodes, Marshall, Goldwater, etc.). Sometimes readers (and critics) ask: Why so few programs? Doesn’t U.S. News report on hundreds of colleges? The answer is: Honors colleges and programs are complicated. Each one of the 50 rated reviews in the new edition with by 2,500-3,000 words in length, or 7-8 pages. That’s almost 400 pages, not including introductory sections. The rest of the answer is: We are not U.S. News. With myself, one assistant editor, a contract statistician, and an outsourced production firm, our ability to add programs is very limited. The 2016 profiles are full of numbers, ratios, and averages, more than in 2014 certainly–and too many, I believe, for readers who would prefer more narrative summary and description. So, yes, it is a wonkish book, even to a greater extent than this website tends to be. But then, they are honors programs after all. Editor’s note: This is one in a series of testimonials from students and faculty at leading public university honors colleges and programs. Rachel Myrick, Political Science & Global Studies Double Major–Honors Carolina has given me an opportunity to study with incredible professors in small classes, and to engage in academic experiences that extend far beyond the classroom. Looking back on my college experience, I realize that Honors Carolina opened so many doors for me. Without those opportunities, I would never have been in a position to win a Rhodes Scholarship. Sam Bondurant, English & Economics Double Major–From joining my professor at his home to use his personal printing press to seeing firsthand the landmarks that inspired J.R.R. Tolkein in Oxfordshire, Honors Carolina has brought me unique experiences that have indelibly shaped my UNC experience. Emma Blackwell, Mathematics & Geology Double Major—I love that Carolina is a large university, but one of the things I valued most about Honors Carolina was that it gave me a community I could be part of the minute I stepped on campus. Honors Carolina really helped me feel more at home in my first semester. John Hu, Business & Computer Science Double Major–Honors Carolina opened a lot of doors for me. It helped me make meaningful connections with people who were very open and enthusiastic about helping me prepare for the employment recruiting process because of our shared experience. I’m extremely grateful to the Honors Carolina network for getting me to where I am today. Jerma Jackson, Associate Professor of History–My most rewarding teaching experience at the University was in an Honors Carolina course. Students consistently posed such thoughtful questions that the course became an exhilarating teaching — and, indeed, learning — experience for me. Ashley Rivenbark, Asian Studies & Romance Languages Double Major–It’s almost impossible to sum up the incredible experience that the Weir Fellowship provides. If you want top notch academics, amazing teachers, and classmates who will guide you every step of the way in your Chinese improvement, a vibrant colorful city with delicious food and warmhearted people, and an internship experience that will leave you with powerful impressions and lasting connections, then you have to apply for the Weir Fellowship.